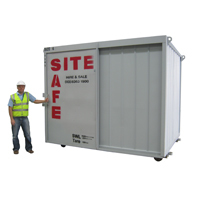 The one and only 20' Storage Container. 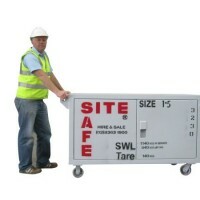 Put it all in, great for bulk storage requirements of tools, machinery and material on site. These units have a HEAVY duty padlock protector on the door. The work horse of our fleet - where it all started from. The size 6 is the storage box for all sites. With a sliding door, space is not needed for opening swinging doors, and keeps the site managers happy! Store almost anything in here.